Iowa Truck Accident Attorneys | Hupy and Abraham, S.C.
A large truck accident can do so much damage. The negligence of a trucker, a trucking company, or another party can result in serious injuries or even death for innocent motorists, motorcyclists and pedestrians. A crash can leave you physically and emotionally hurt, unable to work, and with a lot of unanswered questions. Our Iowa truck accidents lawyers are here to help you through this difficult time and to answer all of your questions. For the past fifty years, we have helped personal injury victims get their lives back on track after devastating truck crashes, and today we are here to help you. We have three conveniently located offices in Cedar Rapids, Des Moines, and the Quad Cities. We would be pleased to provide you with a free consultation at any office you choose, and to answer all of your questions about how to move forward after a truck accident injury. It is easy to feel out of control after a crash. This is not what you wanted to happen, yet you couldn’t prevent the accident or your resulting injury. The same is not true of your recovery. 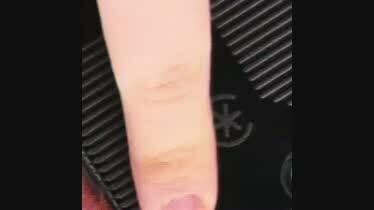 Now you are in control. The actions that you take will determine the path of your recovery. You can start protecting your physical recovery by getting immediate medical attention and continuing your medical care with doctors whom you trust to provide you with an accurate diagnosis, successful treatment plan, and realistic prognosis. Do nothing and recover nothing. Go to court to pursue a fair recovery. Before you decide which option is right for you, our experienced truck accident lawyers can meet with you and explain the benefits and costs of each option so that you make an informed decision about how to proceed. We want you to feel comfortable with your decision and to take back control of your own future. Poor health of a trucker. Any of these causes—or other negligent or intentional actions—can result in serious truck crashes. Accidents involving smaller box trucks or delivery trucks. Any of these types of truck crashes could result in a serious injury or fatality. If you have suffered any of these injuries due to someone else’s negligence, or if your loved one has died in a truck wreck, then you may have the right to make a legal recovery. Once you agree to a settlement or a final court decision is made then you will be unable to recover future damages. Accordingly, it is important to fight for your full and fair recovery after you are hurt in a truck wreck. How will I know if I should hire a truck accident attorney? How long do I have to file a truck accident case in Iowa? Is a truck accident case different from a car accident case? What should I do after if I’ve been hurt in a truck crash? You probably have additional questions, and those questions also deserve answers. Our experienced truck accident lawyers are ready to answer all of your questions so that you can make the right decisions for your future. There are a lot of details to attend to after a truck crash, and they all matter to your recovery. It can be very difficult to make the right decisions and to take all of the necessary actions while you are recovering from a serious injury. But it is important to take action quickly. The trucking company and its attorneys are busy preparing their defense and getting ready to try to minimize your recovery. If you fail to take action then your fair compensation may be compromised. You don’t have to do this all alone, however. The burden does not need to be on your shoulders. Instead, you have the right to work with an experienced Iowa truck accident lawyer who can make sure that your rights and potential recovery are protected. Simply contact us today via this website or by phone (1-800-800-5678) at any time. We are available 24 hours a day, every day, and we would be pleased to provide you with a free, no-obligation initial consultation and to help you get the full and fair recovery that you deserve after a truck accident. 7 Things To Do After An Accident These are 7 things you should do if you've been involved in an accident. 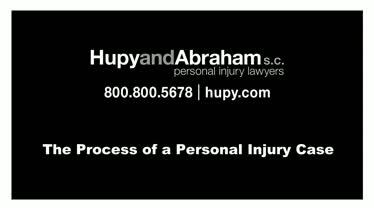 The Process of a Personal Injury Case Attorney Jason Abraham of Hupy and Abraham, S.C. explains what will happen when you work with Hupy and Abraham after an accident.